John G. (“Jack”) Wood, E.A. After working 14 years for IRS in Audit and Taxpayer Service, Jack Wood became an Enrolled Agent. He then worked for 15 years with a tax law firm in Providence, RI, which focused on tax representation. In 1999, Jack relocated to Prescott, AZ and opened Tax Strategies Southwest, where he helps clients resolve tax disputes and unmanageable tax debt issues. Jack has served as a state Director, Vice-President and President of the Arizona Society of Enrolled Agents. He served four years on the Board of Directors of the National Association of Enrolled Agents. Jack has developed and presented numerous seminars to tax professionals in Arizona and Nevada, on topics ranging from Innocent Spouse Relief and Offers in Compromise to Frivolous Tax Submissions and Trust Fund Recovery Penalties. He previously served as the Secretary of the Arizona Forum for Improvement of Taxation. 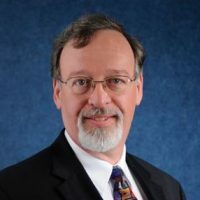 Since April 2011, Jack has served as the President of AFIT.